The average household has at least one sofa or couch. They’re not only a place to sit but they provide a certain aspect to a household that creates a comfortable setting. That being said, it’s important that you take a look at the condition of your sofa or couch foam. If you noticed yourself sitting on a flat cushion that doesn’t rise quickly, then you’re most likely in need of a new cushion. An old sofa that’s been a part of the family home for years, possibly decades, is something that is treasured and hard to part with. Most of the time, depending on the condition of your couch or sofa, you can obtain a quick fix simply by replacing the foam. Be sure that you check out the frame and the springs, if applicable, beforehand so you don’t expend your energy and finances on something that ultimately needs to be replaced. An old and flat cushion will only bend and place pressure on your back and bottom which can cause discomfort over time. A lack of support can lead to a “hunched” position and create issues for your back. Having new cushions will provide the support that’s required for your back and posture. Without it, your body will twist and turn to whatever is comfortable and stay in that position. This could even be in an awkward position and cause immense amounts of discomfort in the future. So, for your back and bottom, look into sofa foam replacement to help aide your back. The Foam Factory is the most competitive foam supplier on the market. 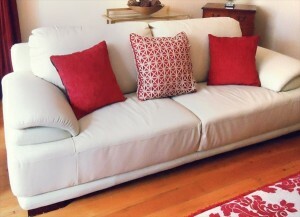 Whether it be couch foam or boat cushion foam, they offer a wide range and solid prices.